The Tatery - Loaded. Grown-up. Tots. Crispy golden tots, house-made cheese dressing, bacon, one sunny-side-up egg with fresh chives. Crispy golden tots, grilled chicken, sautéed onions, mint tahini yogurt, spicy green sauce, salata, feta cheese, parsley, and paprika. 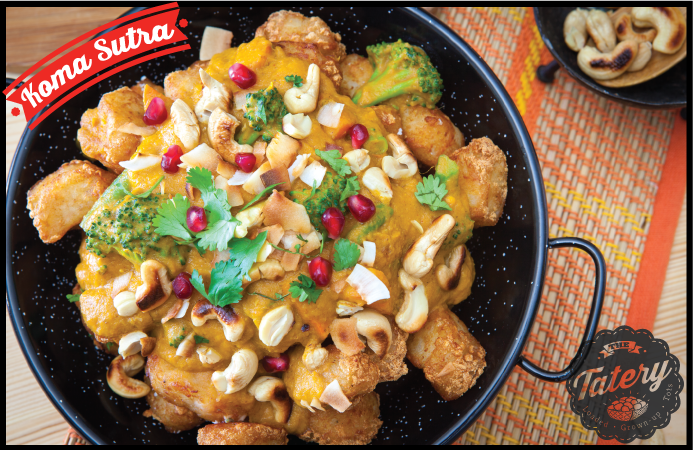 Crispy golden tots, house-made coconut korma, organic veggies, roasted cashews, pomegranate seeds, and cilantro. Crispy golden tots, grilled steak, crema, cotija cheese, pico de gallo, onion escabeche, and cilantro. We’re a local business conceived in Oakland with the goal of staying in the Bay Area. Our belief is that people deserve better tasting comfort food, at reasonable prices, and fitting their style and culture. That's why we created Grown Up Tots. Because, hey, you grew up, why not your taters too? Now they come with tasty toppings, are made with nostalgia, and have become a full meal. All this is done with the idea that creating empathy and community are some of the best tools for promoting societal harmony. We started The Tatery because we love food: talking about it, making it, eating it, and sharing it. 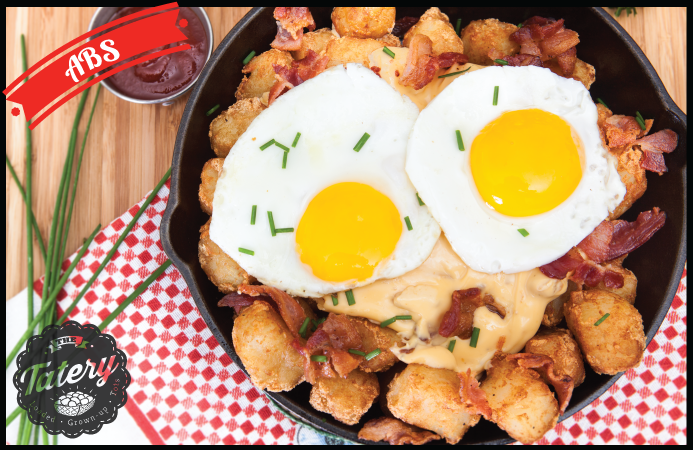 We know food brings people together and we think comforting, crispy tots are perfect for people to gather around, listen to great music, share about life, participate, and create community.